Childhood obesity can cause asthma, high blood pressure, type 2 diabetes, and other health problems that often follow kids into adulthood. 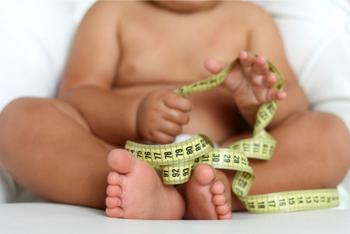 It has been known for some time that children from low-income families are more likely to be affected by obesity. However, a new report published last week by the CDC finds that the prevalence of obesity among toddlers from low-income families has declined in recent years. In families who participated in the federal government’s Special Supplemental Nutrition Program for Women, Infants, and Children (WIC), the rate of childhood obesity dropped from 15.9% in 2010 to 14.5% in 2014. “Continued initiatives to work with parents and other stakeholders to promote healthy pregnancies, breastfeeding, quality nutrition, and physical activity for young children in multiple settings are needed to ensure healthy child development,” according to authors from the CDC and USDA. The data showed that obesity rates increased in only four states during 2010 to 2014: Nebraska, North Carolina, Ohio, and West Virginia. The researchers lauded the fact that childhood obesity rates in low-income families have dropped in 31 states over the past five years, but say 14% is still too high. The national average for children in a similar age group (ages 2 to 5) is 8.9%. In order to reduce the rate of obesity among low-income children, the continuation of federal programs designed to help fight childhood obesity will be necessary. The authors wrote that “new and continued implementation of evidence-based measures,” such as the WIC program and first lady Michelle Obama’s Let’s Move program, are needed to support and educate pregnant women, ensure parents and families have the appropriate information about healthy behaviors, and encourage stakeholders to create supportive nutrition and physical activity environments. The findings have been published in the Morbidity and Mortality Weekly Report. Data visualization showing state-by-state changes in obesity rates among children who participated in the WIC program can be viewed here.